Marcus Ericsson was heading down the main straight in the early stages of FP2 but when he hit the brakes for the Rettifilio, his DRS appeared to remain open. 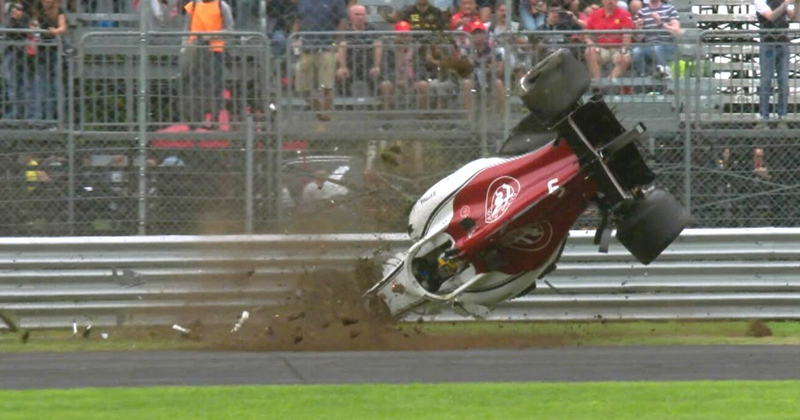 Combined with a track still slightly greasy from the morning rain, that pitched him into the barriers before the car flipped over… and over… and over again. Amazingly, Ericsson was able to get out of the car unhurt and after a quick trip to the medical centre was straight back in the pit lane.